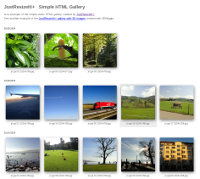 JustResizeIt!+ creates simple static HTML galleries. Static HTML galleries don't need a web server. 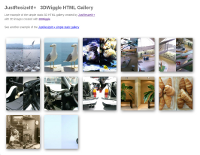 JustResizeIt!+ supports resizing of 3D images composed with 3DWiggle and creates HTML wiggling galleries. The JustResizeIt! 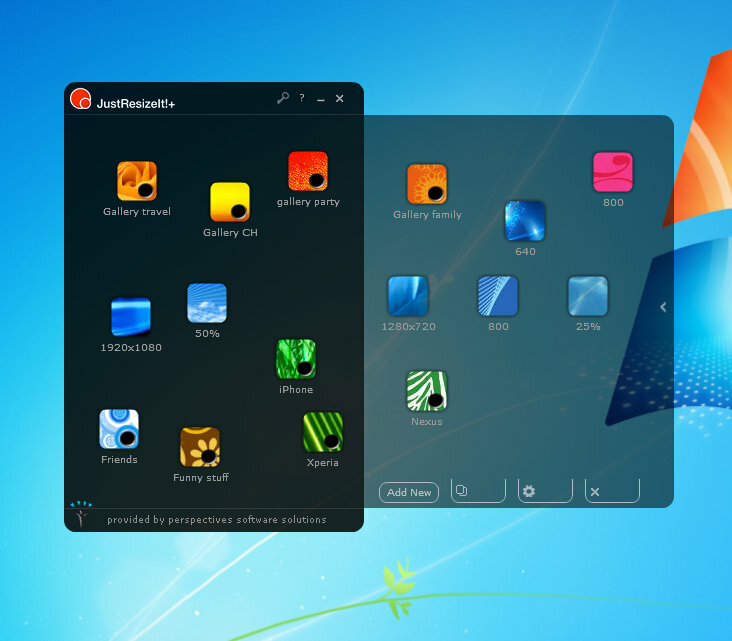 free version receives the faster resize engine from the JustResizeIt+ paid version. Older version will update automatically. Simplifying the distribution of pictures to one simple drag & drop lifts the barriers of private sharing. JustResizeIt! mobile lets you resize and share your pictures with all your friends and family with only a few taps. Drag and drop one or more images into JustResizeIt! Enjoy all your photos on your mobile phone and tablet! Love maintaining your own personal online gallery! Share the best moments instantly with your friends and family! This motto from a Sony's advertisement campaign explains pretty well the digital photography revolution. You end up with thousands of pictures. And because marketing pushed up the number of pixels, you have gigabytes of precious moments of life. That's fine on a PC. Space is cheap on hard drives and you have great tools to organize and enjoy your collections. But you also want also to enjoy your remembrances elsewhere and to share them. Space is expensive on tablets and mobile phones. Download speed is in many places too slow for gigabytes. That's why we created JustResizeIt! On some download sites, JustResizeIt! (free) is listed as JustResizeIt free and JustResizeIt!+ is listed as JustResizeIt plus due to product name symbol restrictions. Please recommend us on your favorite social network. Thank you! Looking for an original, affordable and useful gift? By adding sending capabilities, pictures are automatically resized and sent to a group of email addresses or uploaded to an online gallery controlled by the user. 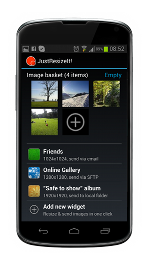 Private sharing of pictures is simplified to a single drag & drop. Create your branded version of JustResizeIt! 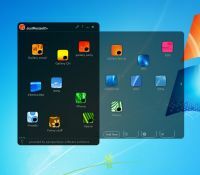 and have your advertisment on thousands of desktops - for free!